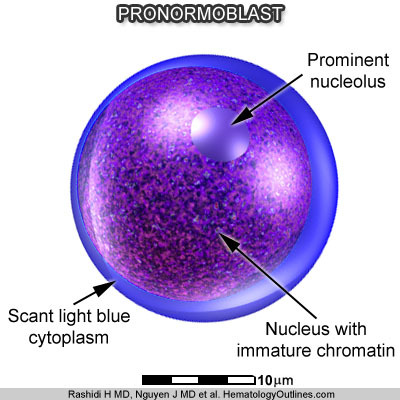 In normal marrow they comprise 1-2% of the total nucleated cells which is approximately 2-3% of the nucleated red blood cell precursors. 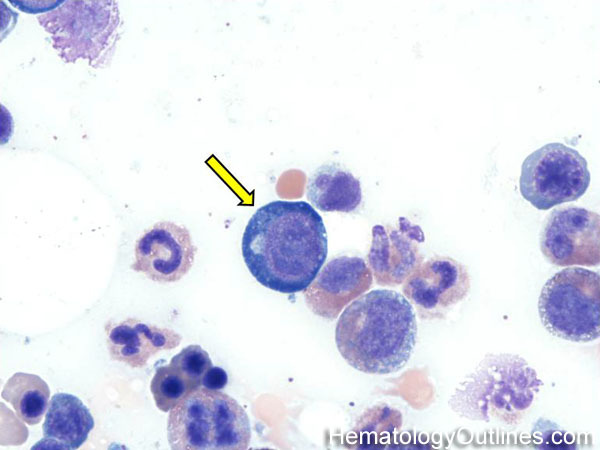 Note: As erythroid precursors mature, the color of their cytoplasm changes from blue to gray to red-orange (this is due to the increase in the number of hemoglobin molecules within the red cells as they mature). Additionally, the nucleus of the red blood cell becomes more dense as it matures and eventually excretes from the cell, forming the mature RBC.